It’s done. It’s finally done. Mr. Toad has a new shirt. 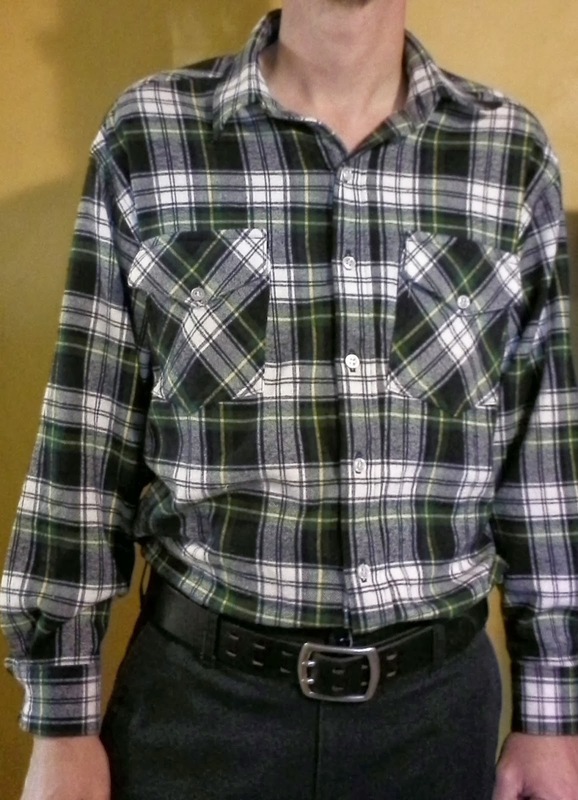 He has a new plaid flannel shirt. 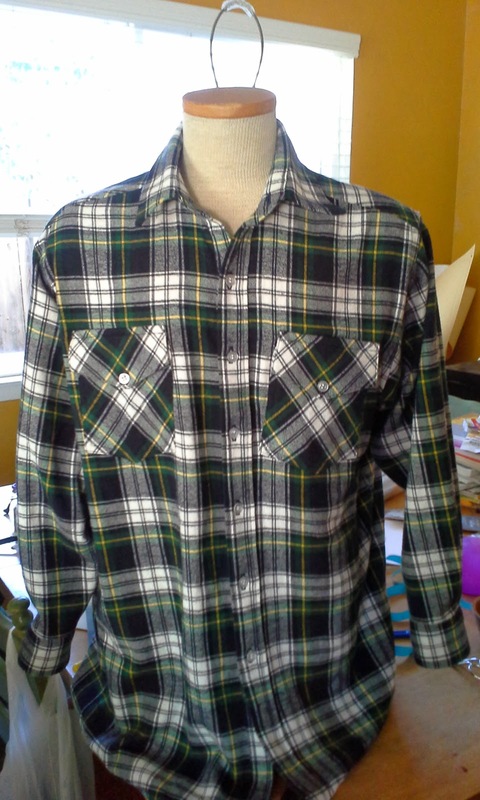 Did I mention that it is a large asymmetrical plaid? With a skewed grain? Did I mention that almost every step had to be ripped out and resewn? ugh. 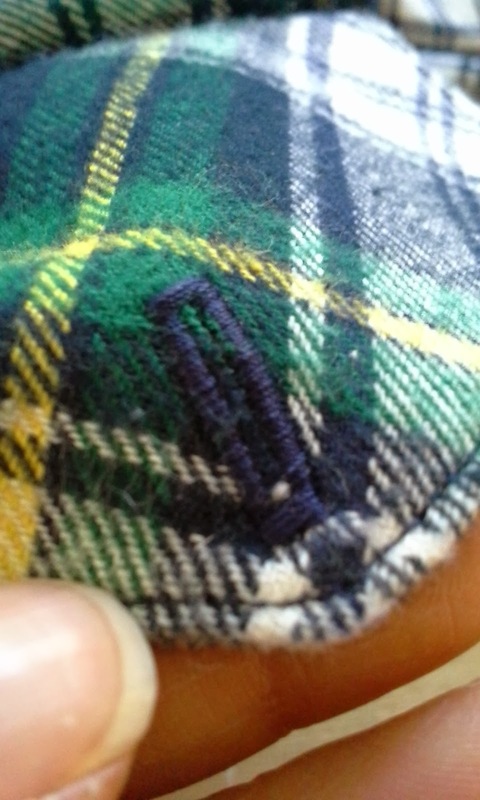 Normally, I like to sew plaids. I know. I’m weird. I get a sense of accomplishment when I match the plaids. I also think there are amazingly easy to line up the grain. Normally. 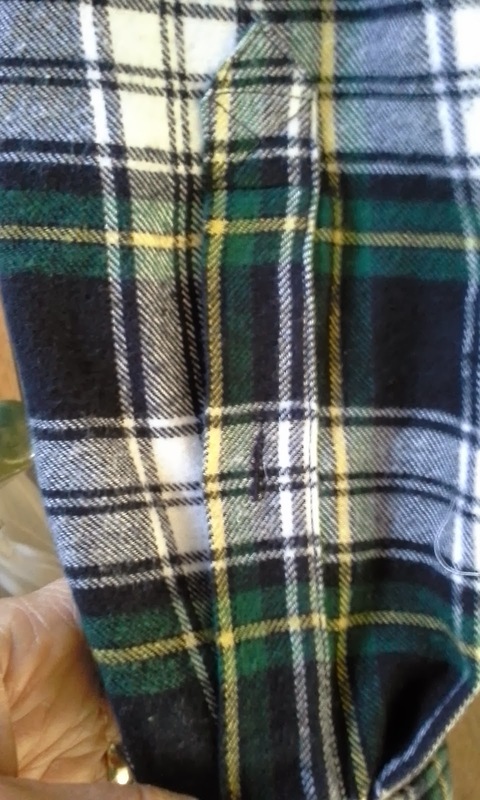 This flannel skewed. I washed it. I ironed it. I pulled it. And pulled it. I probably should have abandoned it. 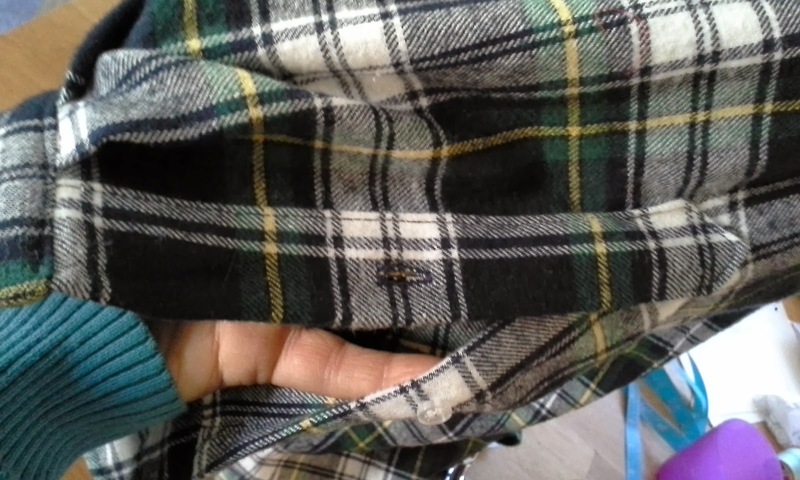 This is a Joann’s fabric and I have had problems with their plaids skewing before, but this was a hot mess. I have to say that I did not choose this one. I'll blame it on Middle Son. I let him choose the fabric. He thought it looked like something Mr. Toad would like. It was supposed to be a Christmas gift, but time was getting in the way. I did get it started before Christmas. Does that count for something? I have been working on this shirt off and on since mid-December. I put it aside because I didn’t want to rush it. But it became one of those projects that was antagonizing and mocking me. 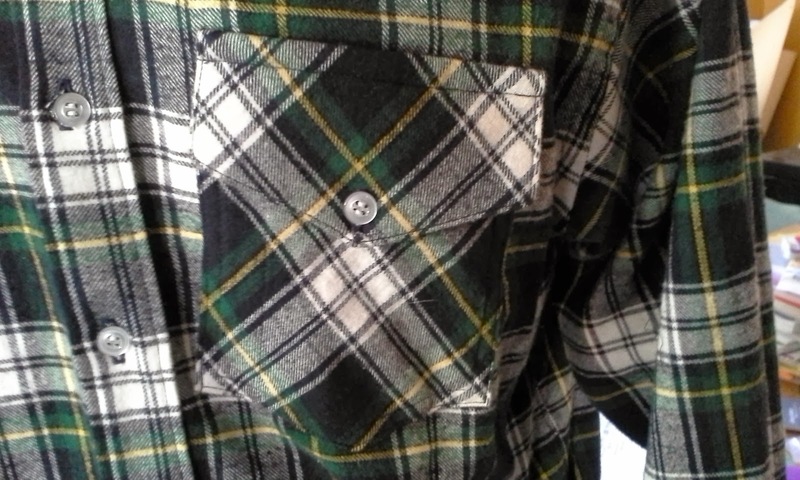 First, I made 2 front pockets instead of 1 and added flaps. 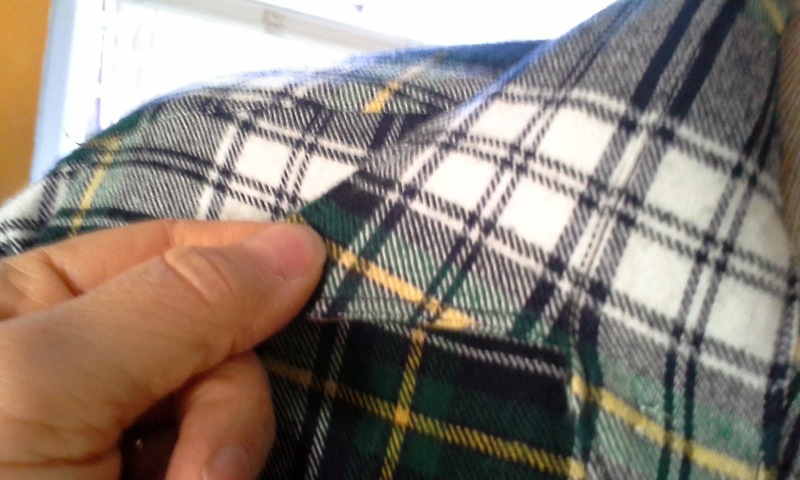 No real problems, but matching the plaid that didn’t want to stay straight was just frustrating. Then, I used the yoke for my 12 year old’s pattern instead of the one for Mr. Toad. I was really baffled that the front pieces wouldn’t match up with the yoke. So, I ripped that out. 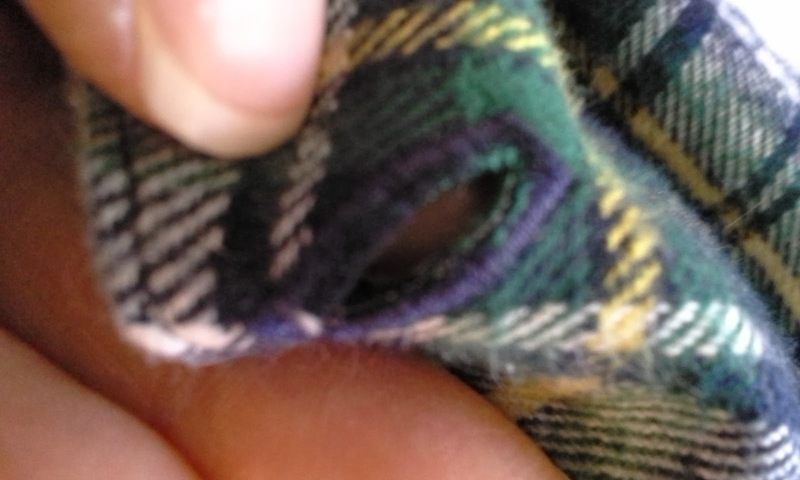 Then I put one of the sleeves on inside out. Oh, I also didn’t put the plackets on before attaching the sleeves. 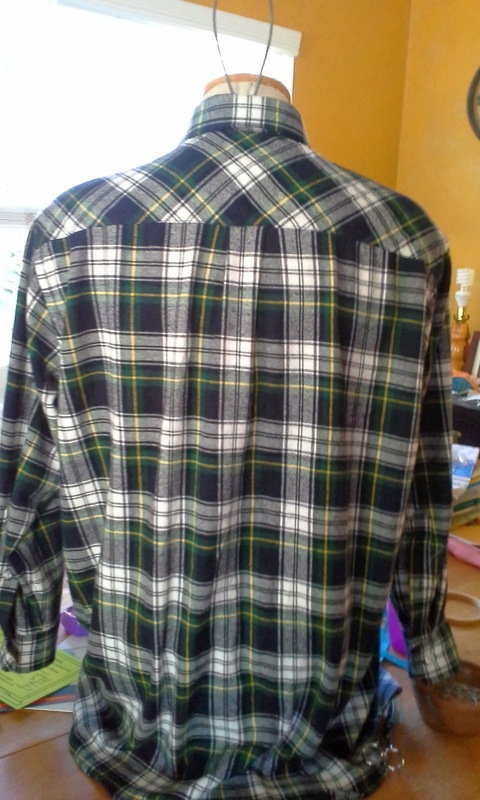 But that worked out because I had to shorten the sleeve, and needed to recut the plackets because the plaid wouldn’t line up. But I needed to recut the plackets anyways because our dog, Bugg, stole one and used it as a chew toy. So, it worked out. Then, I put the plackets on inside out. I didn’t find out until after I clipped the corners all the way to the stitches. Did I mention that I managed to get the best matching thread? These are the major issues. I did silly things like managing to catch loose fabric in the stitches, letting the buttonhole guide slide off the fabric, twice. I ripped the stitches out twice. One of my Christmas gifts--A buttonhole cutter--Awesome! After all of the problems, it did work out. I was excited to finish the buttonholes so that I could use my new Clover Button Hole Cutter that I got for Christmas. What beautifully cut buttonholes! 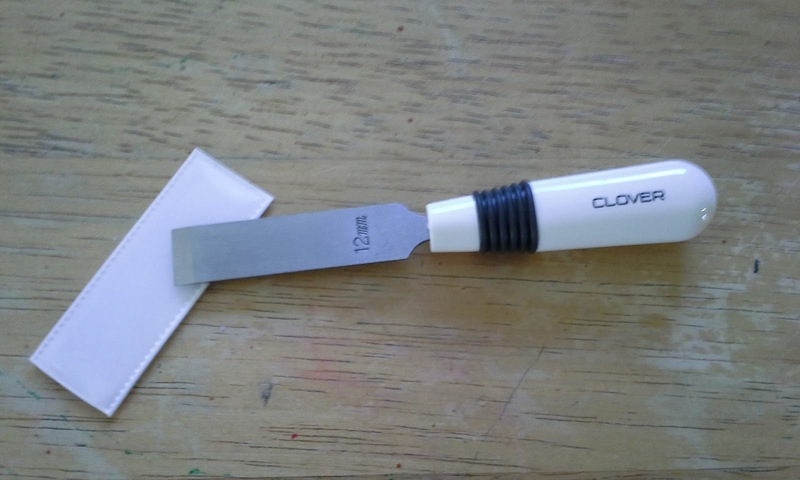 No more fear of slipping with the scissors or seam ripper. Buttonhole tool made a super clean cut! Now that I am done I can appreciate how well this has come out. After all of the frustration and reworking, the plaids mostly lined up. The inside and outside of both the collar and collar bands are lined up together. The yoke was centered diagonally. 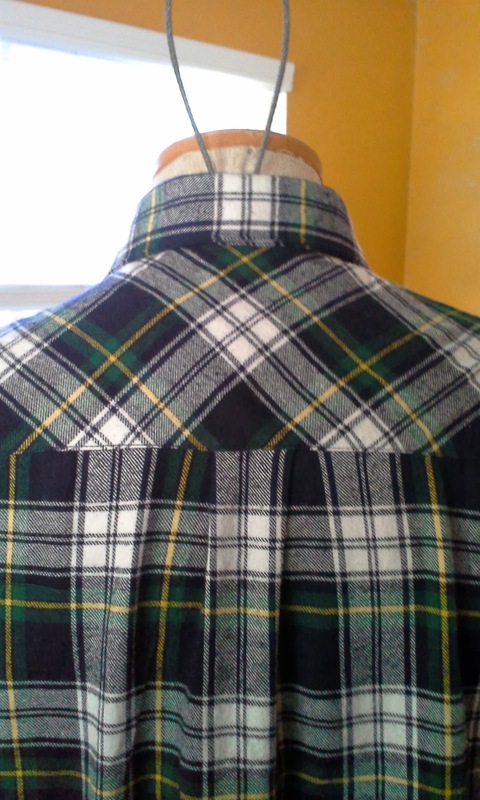 The collar and collar band lined up with the pleat in the center back. 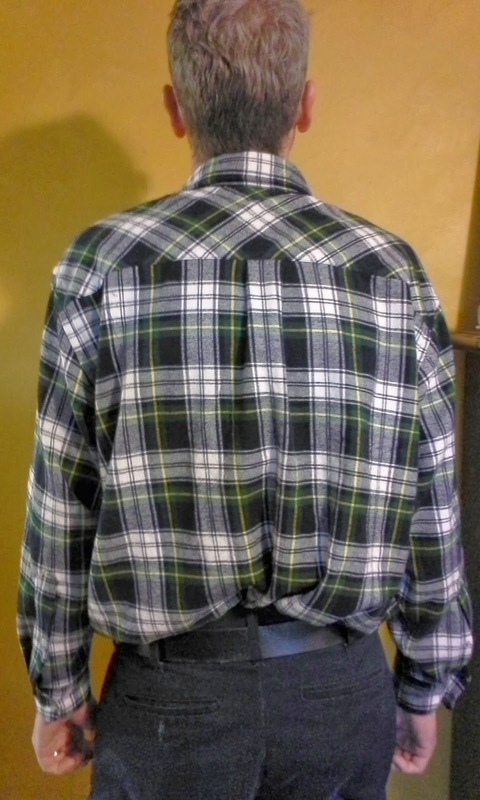 I was able to match the plaids around the front and back, as well as the sleeves. The plackets, look lined up, even though they are really on the wrong sleeves. I also was able to use the new buttonhole cutter. I know, I'm a sewing geek. I really like Jalie 2111. It is now out of print. I actually emailed them when they were removing it and a pair of mens/boys pants that I have used. They responded that they were planning to replace them with a more current style. How many men wear current styles? I am thinking of retiring this for Mr. Toad and switch to a slimmer cut style. He is thin and tall and I think the relaxed fit isn't working so well. It is good as a work shirt and he seems to like it. To accommodate his height, I make his size based on his chest measurement and lengthen two inches in the torso and an inch in the sleeve. I don't follow the Jalie patterns. Instead, I follow the directions that David Coffin uses in his book Shirtmaking: Developing Skills For Fine Sewing . This means that all of all of the seams are flat-felled and the collar and cuffs are put on a little different than most pattern descriptions. Since reading this book, I have always used his assembly directions. The shirt looks better in person. He really doesn't like posing for pictures, but knows that is the cost of a new shirt. Tomorrow, I get back to the little white dress and the hopefully muslin the blouse for the free Marfy pattern sew-a-long. Despite the bumpy road, the shirt looks great! Thank you. Mr. Toad seems to like it. I always learn something, often about myself, on the bumpy roads.